Ticket price range 100—3000 rub. 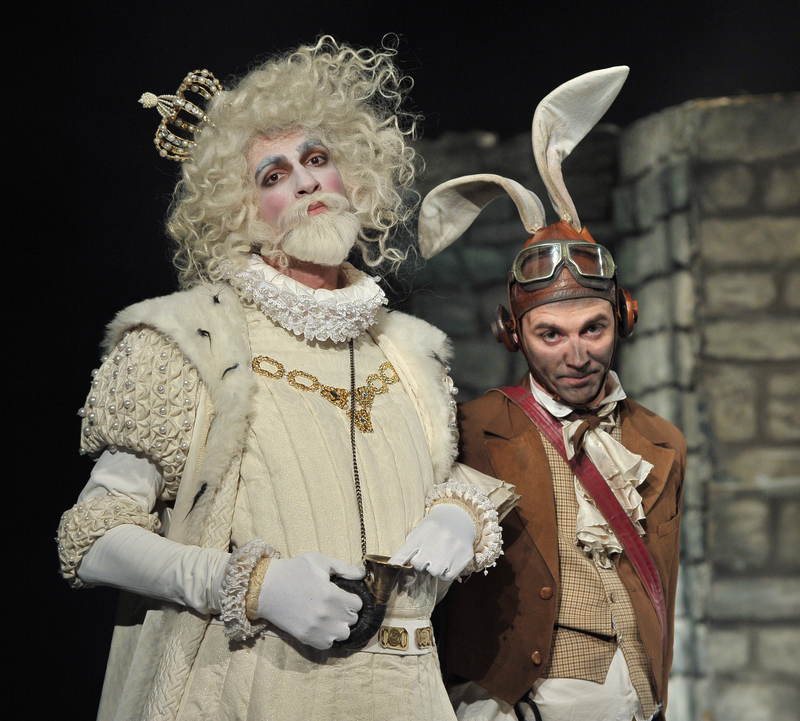 Alice Through the Looking Glass is Fomenko Workshop’s first production for the children. 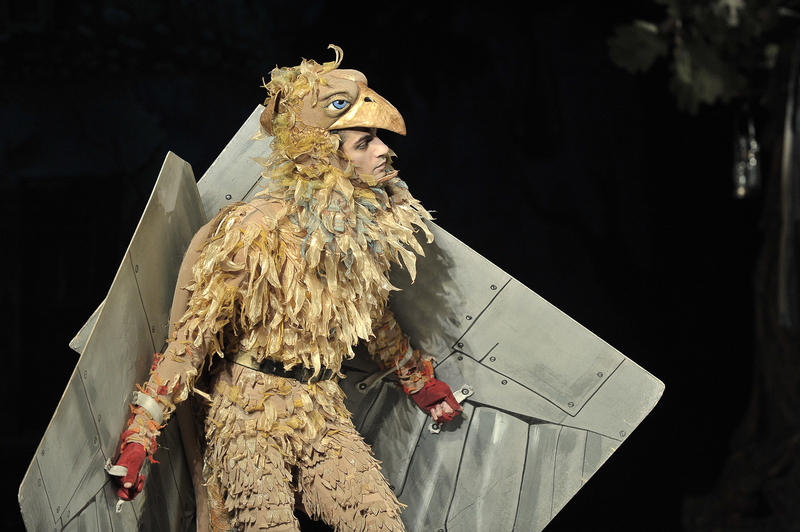 Lewis Carroll’s fairytales with their brilliant paradoxes, flickering meanings and amazing riddles are some of the best examples of children’s literature, and Fomenko Workshop’s style has always been defined by the special, “philological” taste in classics. Plus, the unrestrained whims of the English writer and his phantasmagoric imagery offer a great scope for the most surprising visual choices. For children seven years old and up. In other words, go and see for yourself. Without a doubt. 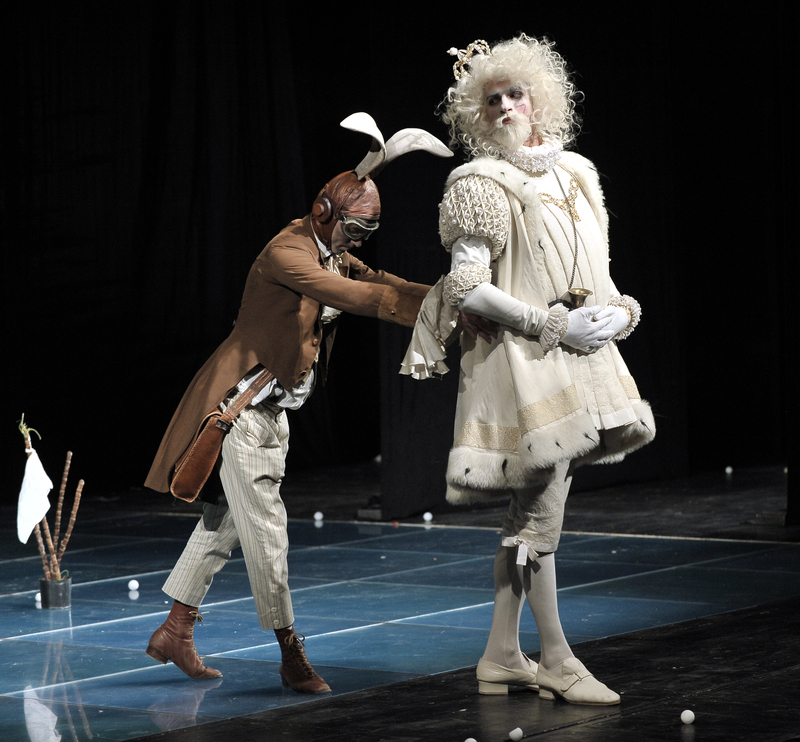 I think that Fomenko Workshop’s Alice Through the Looking Glass can be no less important and dear for the contemporary audience than the Art Theater’s The Bluebird was a hundred years ago. Chess Pieces, Train Passengers, Insects from The Looking Glass, The Forest Oblivion, Oysters, Sheep, Drummers.